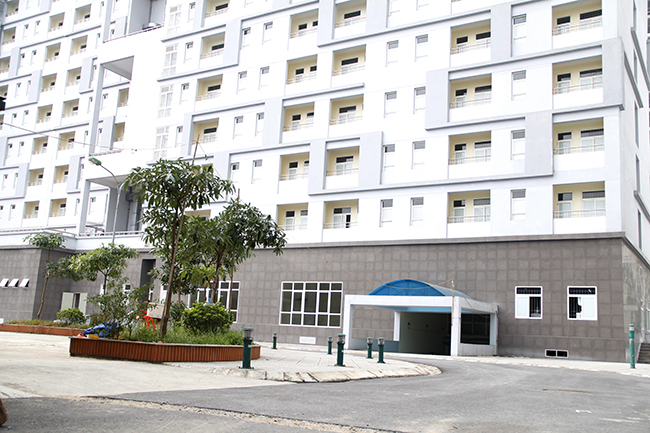 The VNU My Dinh Dormitory is conveniently located for students, being 500m from VJU My Dinh campus, 1km from My Dinh national stadium and 2km from VNU. Being two new buildings of 21 floors, 388 living rooms, the dorm has a serving capacity of more than 2,000 students with 24/24 security system for student safety. Three modern lifts for each building. All rooms are fully equipped with air conditioning and three double beds for six students each.